Since joining Tax Help in 2008, Gail's primary role has been serving as a payroll administrator and bookkeeping consultant to our clients. 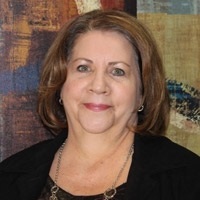 Having previously worked for an Omaha CPA firm as an administrative assistant, Gail brings over 20 years of payroll management and bookkeeping experience to the Tax Help Team. Gail is E-Verify certified and actively seeks continuing education though QuickBooks Pro Advisor and CPP certifications to better fulfill our client’s needs. Gail enjoys her leisure time spending it with family and friends, trying new and innovative recipes, gardening, and most of all being with her grandchildren.